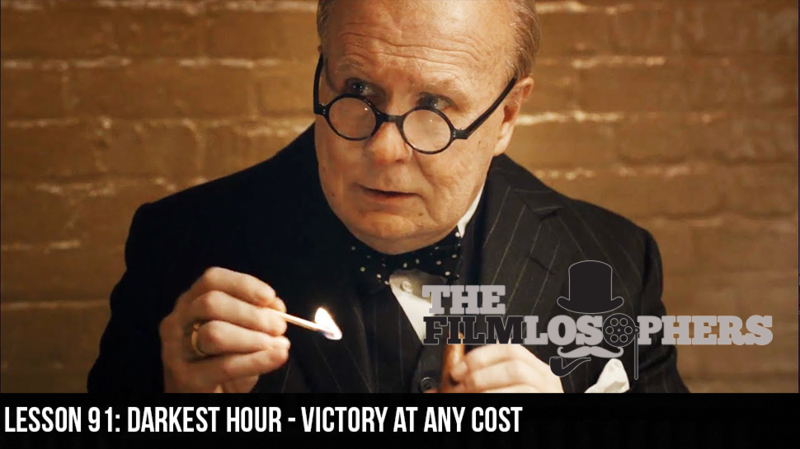 The Filmlosophers, Eddie Villanueva and Chad Riley, revisit the fateful days of World War II with this week’s review of Joe Wright’s film Darkest Hour (2017). Featuring Gary Oldman in an Oscar-buzzing lead role as British Prime Minister Winston Churchill, the film recounts a series of events in 1940 as the Nazis bring continental Europe to its knees and threaten total annihilation. The film also features noteworthy cinematography from Bruno Delbonnel.